Jon Sutton reports on Professor Sophie Scott's talk at the Society's Annual Conference. Professor Sophie Scott (University College London) is becoming the Queen of Laughter, which is not a bad title to have. Not only is she doing a great job of redressing the negative balance in psychological research into emotions – lots of papers on fear, not so much on laughter – she’s funny to boot. Scott is convinced you can have a meaningful science of laughter. Her interest began while working with Andy Calder and Andy Young in the Applied Psychology Unit at Cambridge. Working with faces, she realised the basic emotions they were working with were extraordinarily negative. She contacted the godfather of basic emotion research, Paul Ekman, who replied that there would be more positive expressions – triumph, amusement, relief, contentment, physical pleasure. He suggested that those candidate basic positive emotions might all share a smile (in static photos) but could be distinguished with other cues, such as body posture and voice. Videos from Scott’s research with the Himba tribe in Namibia (done by Disa Sauter and Frank Eisner) showed that laughter was recognised cross culturally, as were vocal expressions of fear, sadness, anger, surprise and disgust (which Ekman's work had shown to be universally recognised from the face). None of the other positive vocal emotions were cross culturally recognised, in our study. Whereas British people quite often produce a cheering or ‘woo hoo!’ sound for triumph, the Himba sound was something else altogether. Scott also demonstrated how laughter is only made possible by breath control, in turn reliant on the amazing neural control that humans have over their rib cage (as much as you have over fingers). Involuntary laughter will stop you speaking, breathing… ‘It is trying to kill you,’ Scott warned. Laughter is also very social: an ‘invitation to playfulness’ in the words of Jaak Panksepp. Robert Provine has shown that people laugh most in conversation, and with people they know. Scott showed that there is much less activation of the brain’s ‘mirror systems’ in response to disgust than with laughter or triumph. Scott’s talk was packed with interesting facts about laughter. People without exception underestimate how much they laugh. 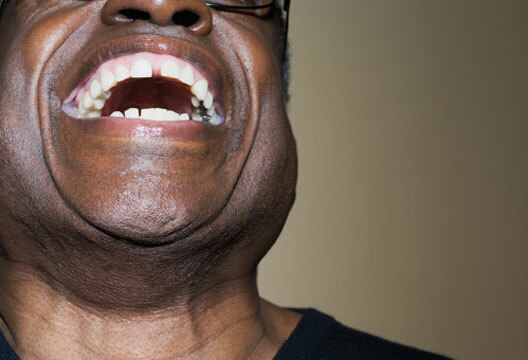 The ability to tell the difference between real and faked laughs improves with age, peaking in late 30s. But laughter is less contagious as we age. Concluding with a wince-inducing home video, Scott showed how laughter quickly changes an embarrassing, painful situation into something that is the 'shortest distance between us’. Scott is turning laughter into the shortest distance between psychologists and a very large audience: read more in our April 2013 issue, along with an audio interview, and watch her hugely popular TED video. - More reports from the Society's Annual Conference will appear on this site over the coming days and weeks, with extras in the July print edition. Find out more about next year's event.